Lin-Manuel Miranda is good at everything, whether it’s writing songs for Moana, making a cameo on How I Met Your Mother, or getting into a duel with Larry David on Curb Your Enthusiasm, but the one thing everybody wants to see from him is—altogether now!—raps about history. So far, there has really only been one way to see him rap about history (the Broadway show about that Alexander Hamilton guy), but now Nerdist says he’s going to do some historical raps in Mary Poppins Returns. That’s according to producer Marc Platt, who says, “believe it or not, in 1934 music hall style, [Miranda] even gets to do a little rap” that is “quite extraordinary.” A little rap! 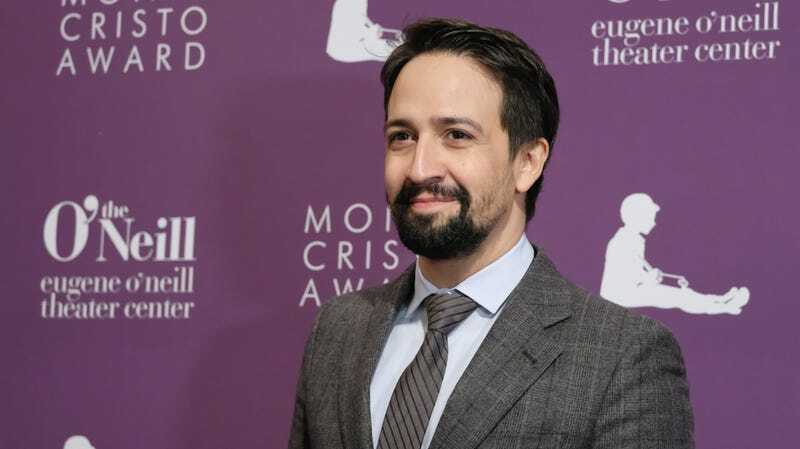 Now, someone out there might argue that Mary Poppins isn’t a real historical figure, so Lin-Manuel Miranda rapping about her isn’t quite the same as what he did in Hamilton, but to that we say: Yes she is. Mary Poppins has magic powers, so who are we to say that she wasn’t real? Saving Mr. Banks was real, and she was in that, right? Ergo, Mary Poppins Returns should be renamed Hamilton 2.